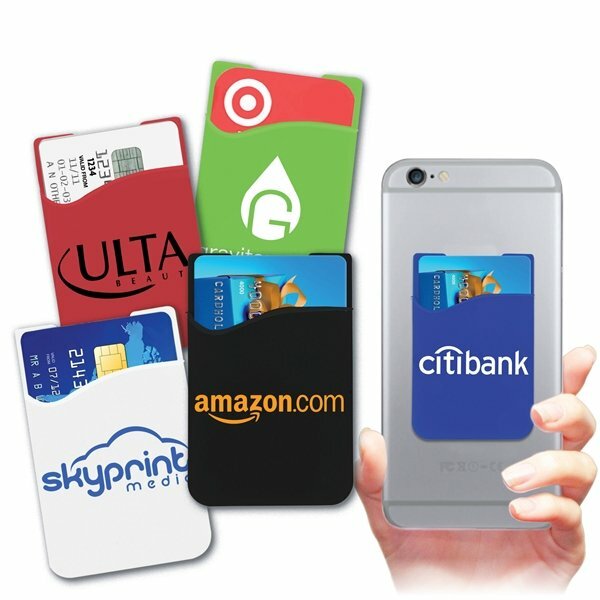 Lasting quality silicone pocket for mobile devices. Conveniently holds credit card or ID. Adheres to most any smartphone or tablet. the price for the quality. Great combo. Great Ideas! We really would have liked to have color for our logo on the front. I had been pleased with the quality and loved the fact that it may be recycled if broken. They've been a significant hit! Great promotional item. We used them on a hot summer day at a swimm meet. Many possitive comments about this product. Overall good. Nothing negative.